Buying group for plumbing specialists The IPG has been named Business of the Year 2018 (10 or more employees) by Arun District Council. 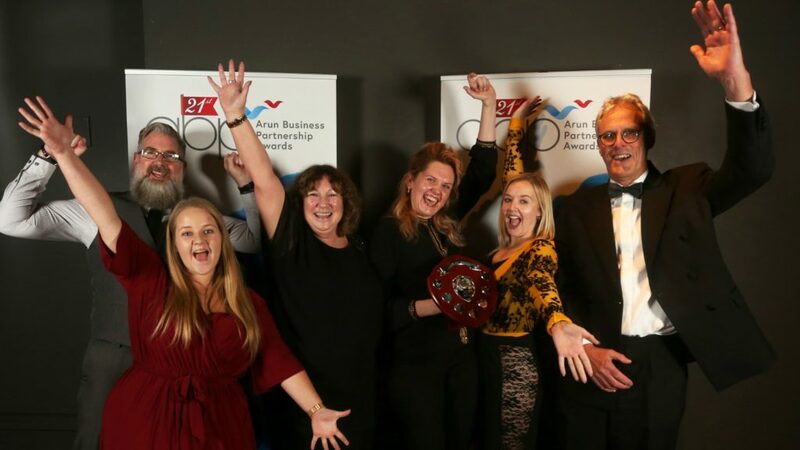 The Littlehampton-based firm scooped the honours at the 21st Arun Business Partnership Awards. Recognised for its success, The IPG has experienced double-digit, year-on-year membership growth since June 2017. Since its formation in 2013, the organisation has grown to over 200 member locations nationwide, which includes independent plumbing, heating and bathroom specialists. The IPG was praised for giving back to local communities, most notably its recent partnership with Missing People, with members joining the battle to locate missing children. In addition, it was recognised for undertaking a study looking into the long-term physical effects plumbing can have on plumbers’ knees and imploring they use protective gear. Judges said The IPG was “an excellent example of a local, home grown business and workforce who represent the Arun District so well on the national stage”. Marketing manager Nike Lovell said: “We are delighted that the work The IPG has done for local, independent companies across the country has been recognised by this award.